Finding the right cable supplier isn’t just a matter of picking the first cable supply company you find on the internet, especially if you’re looking for industrial high quality high volume cable assemblies. Partnering with the wrong cable supplier can cost you. But how do you know if you’ve found the right cable supplier? Well, at a minimum, they’ll possess the aspects described below. Each industry has its own nuances and typical practices. One facet is knowing and complying with the most appropriate certifications and standards, such as ISO 9001, IPC, or ROHS. Another is maintaining current knowledge of your industry, such as medical, industrial equipment, marine, or automotive. This ensures the cable supplier is aware of typical applications and uses them as context when producing cables. For example, do cables for your industry typically need testing or specific soldering? The right cable supplier knows the answer to questions like these and has experience in dealing with the ins and outs of your industry. What type of environment are the cables being used in? How are the cables being used (e.g., mechanical, category)? What category of cable is best? What’s the best termination for your cables? What are they connecting to? What type of volume levels do you need, and how many configurations? Similarly, they’ll know the answers to your common questions, such as What’s the cost? On this subject, there’s a tendency to select cheap cable suppliers because of the initial quoted value. However, aiming for the right supplier over the cheap supplier can actually cost you less overall. Continuing with our earlier example, a high-volume supplier taking on a low volume job will not result in adequate support. And conversely, a low volume supplier taking on a higher volume cable assembly will result in higher unit costs. Now, as part of this process, the right cable supplier will collaborate with you to come up with the best solution. 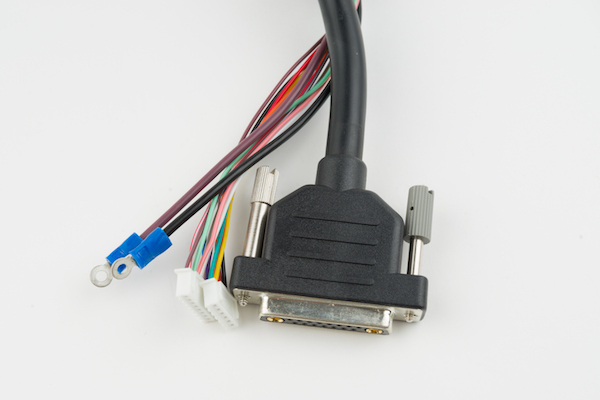 This often means a custom cable assembly, which brings up the question of whether you need a redesign or to add to an existing design (similar to our Phoenix Display Cross Match Program). The results of a process like this are cable or wire harness assemblies that adhere to all your specifications, a high-quality product, and a worry-free experience. Phoenix Display has helped customers with their display issues for many years now. Throughout this time, we’ve observed that some of the same challenges are also present with the cable and wire harness assemblies. To address this issue, Phoenix Display has launched a new brand, Colligo Cable, to support our customers with their cable applications. Colligo Cable designs, and manufactures, cable assemblies and wire harnesses, specializing in mid-to-high volume industrial applications with the most demanding requirements. To learn more about Colligo Cable, please visit www.colligocable.com. And if you’d like to reach out to us directly with any questions you may have about Colligo Cable or your display needs, feel free to contact us.